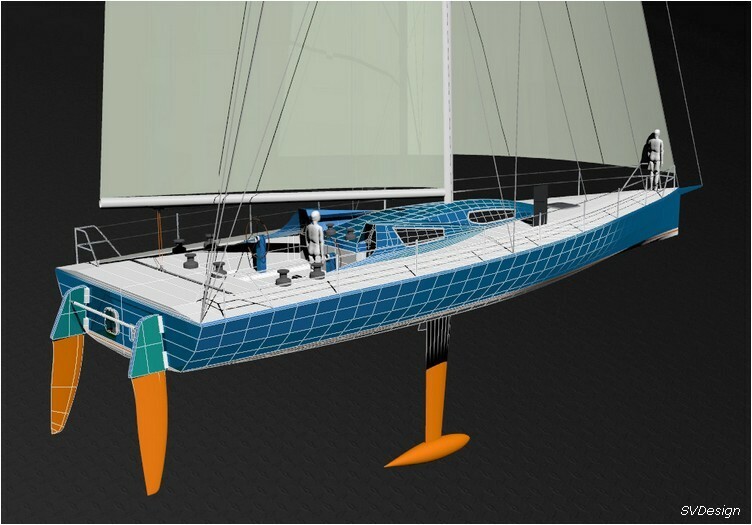 MK-II project was a radical design compared to MK-I, still in the aim of racing in Vendée Globe 2004. This time, design being clear from financial aspects, the final achievement is this large and powerfull ship, still with hard chines to get the best in regards of hydrodynamic stability at high speed. 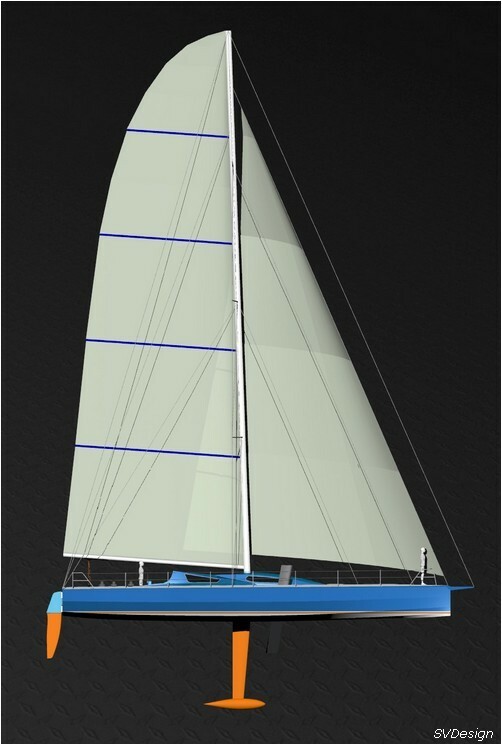 Appendages are more sophisticated : canting keel, asymetric side daggerboards, twin rudders. 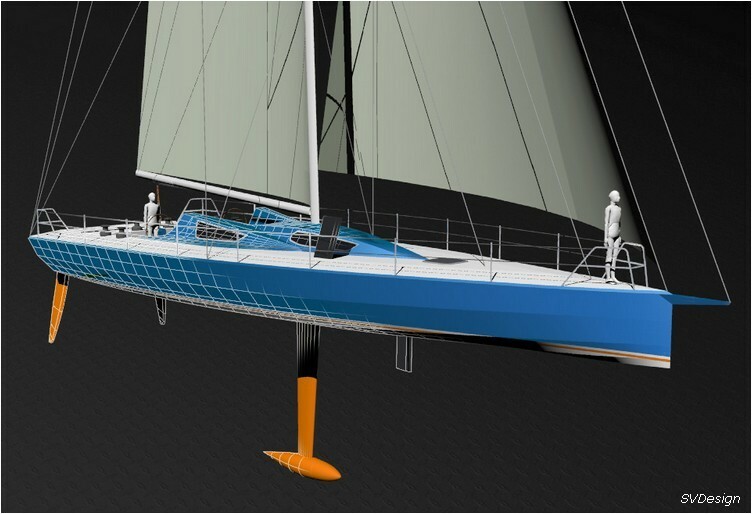 This design, innovative in 2003, has been applied on up-to-date Open 60 recently launched, with different interpretations depending on sailors and architects. This is an evidence of efficiency and interest. Don't hesitate to contact me for further information on MK-II.